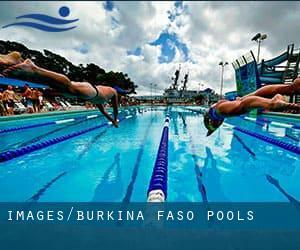 Most from the Burkina Faso Pools give both open lanes for independent swimming and also guided activities like water aerobics or Aquabike. Swimming can be a sport for all ages. It assists young people to tone their muscles and grow healthy and strong. For the elderly, there's no much better way to exercise than choosing a Burkina Faso Swimming Pool to escape from day-to-day routine. Do you realize of any Pools in Burkina Faso that really should be listed here? Contact us!. Please contact the sports center in Burkina Faso to check which activities are being offered and their timetables, because Burkina Faso Pools may have several rules and fares than other locations. Swimia.com requirements your feedback on Aquagym in Burkina Faso to ensure all of the information about swimming in Burkina Faso is valid. Thanks to some new pools submitted by swimmers like you, Swimia.com is increasing within the daily quantity of stored pools. 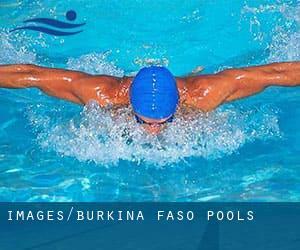 Please do not hesitate to get in touch with us in case you discover any Burkina Faso Swimming Pool with inaccurate or incomplete information. One with the advantages of outdoor swimming in Burkina Faso is the possibility to sunbathe throughout the summer season. Taking it with extra care, sunbathing is healthful given that introduces Vitamin D into the body, so the best alternative seems to be switching amongst indoor and outdoor pools depending on the season. It's difficult to visit Burkina Faso with out dropping by Bobo-Dioulasso (with 360.106 residents). Currently Swimia is showing you all the Pool in Bobo-Dioulasso and also the closest pools located in its vicinity. Let us tell you a secret to switch off while you are in Ouagadougou: just select a Pool in Ouagadougou and plunge into the water! There's no even more effective method. Holding an estimated population of 61.096, Ouahigouya is one of the most important cities in Burkina Faso. Check all of the Pool in Ouahigouya and its surrounding area. Swimming is often a excellent idea to keep your body active during your visit to Koudougou (Burkina Faso), or even for anybody who is a local. Swimia helps you to find your closest Pool in Koudougou. Rue 23.02 , Derriere le Barrage Nº 2 , Ouagadougou , BURKINA-FASO. Swimmers like you reported 25 meters, 3 lanes, Outdoors. Phone number and e mail address are number for this Pool.